The Eco-Think program enhances high school students’ critical thinking skills and guides them through the process of how to make informed decisions about key community issues. In Phase I of the program, students will apply knowledge gained from Subject Matter Experts (SME) to identify eco-friendly and sustainable solutions to environmental challenges facing McCracken County today. In Phase II, a hands-on project will be used to apply the knowledge students have gained from these educational sessions; while further developing students’ understanding of environmental challenges facing their community. 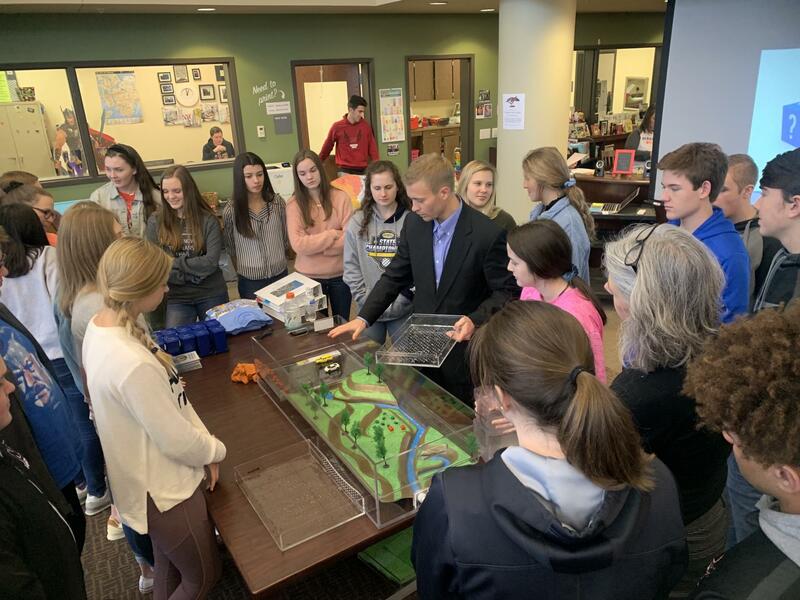 In addition to developing critical thinking skills, the project will emphasize the importance of students being actively involved in their community and engaged with environmental issues facing local government leaders. Students in McCracken County High School’s AP “Seminar” classes will learn from Subject Matter Experts (SME) coordinated by Four Rivers Nuclear Partnership, LLC. After the presentations, students will engage in research of their own to further enhance their understanding of the Subject Matter Experts (SME) area of study and how this applies to the overarching community problem. The first SME was, Eric Hickman, Storm Water & Drainage Engineer for the City of Paducah.